For other uses, see Doo Wop (disambiguation). Doo-wop is a genre of rhythm and blues music developed in the 1940s by African American youth, mainly in the large cities of the upper east coast including New York. It features vocal group harmony that carries an engaging melodic line to a simple beat with little or no instrumentation. Lyrics are simple, usually about love, ornamented with nonsense syllables, and often featuring, in the bridge, a melodramatically heartfelt recitative addressed to the beloved. Gaining popularity in the 1950s, doo-wop enjoyed its peak successes in the early 1960s, but continued to influence performers in other genres. Doo-wop has complex musical, social, and commercial origins. Doo-wop's style is a mixture of precedents in composition, orchestration, and vocals that figured in popular music by composers or groups both black and white from the 1930s to the 1940s. Such composers as Rodgers and Hart (in their 1934 song "Blue Moon"), and Hoagy Carmichael and Frank Loesser (in their 1938 "Heart and Soul") used a I-VI-II-V-loop chord progression in those hit songs; composers of doo-wop songs varied this slightly but significantly to the chord progression I–VI–IV–V, so influential that it is sometimes referred to as the 50s progression. This characteristic harmonic layout was combined with the AABA chorus form typical for Tin Pan Alley pop. Hit songs by black groups such as the Ink Spots ("If I Didn't Care", one of the best selling singles worldwide of all time, and "Address Unknown") and the Mills Brothers ("Paper Doll", "You Always Hurt The One You Love" and "Glow Worm") were generally slow songs in swing time with simple instrumentation. Doo-wop street singers generally performed without instrumentation, but made their musical style distinctive, whether using fast or slow tempos, by keeping time using a swing-like off-beat. Doo-wop's characteristic vocal style was influenced by groups such as the Mills Brothers, whose close four-part harmony derived from the earlier barbershop quartet. Bill Kenny, lead singer of the Ink Spots, is often credited with introducing the "top and bottom" vocal arrangement featuring a high tenor singing the lead and a bass singer reciting the lyrics in the middle of the song. The Mills Brothers, who were famous in part because in their vocals they sometimes mimicked instruments, exercised an additional influence on street doo-woppers who, singing a cappella arrangements, used wordless onomatopoeia to mimic instruments, the bass singing "bom-bom-bom," a guitar rendered as "shang-a-lang," and brass riffs as "dooooo -wop-wop." For instance, "Count Every Star" by The Ravens (1950) includes vocalizations imitating the "doomph, doomph" plucking of a double bass. The Orioles helped develop the doo-wop sound with their hits "It's Too Soon to Know" (1948) and "Crying in the Chapel" (1953). Although the musical style originated in the late 1940s and was wildly popular in the 1950s, the term "doo-wop" itself did not appear in print until 1961, in The Chicago Defender, just as the style's vogue was nearing its end. Though the name was attributed to radio disc jockey Gus Gossert, he did not accept credit, stating that "doo-wop" was already in use in California to categorize the music. "Doo-wop" is itself a nonsense expression. In The Delta Rhythm Boys' 1945 recording, "Just A-Sittin' And A-Rockin", it is heard in the backing vocal. It is heard later in The Clovers' 1953 release "Good Lovin'" (Atlantic Records 1000), and in the chorus of Carlyle Dundee & The Dundees' 1954 song "Never" (Space Records 201). The first record to use "doo-wop" in the refrain was The Turbans' 1955 hit, "When You Dance" (Herald Records H-458). The Rainbows embellished the phrase as "do wop de wadda" in their 1955 "Mary Lee" (on Red Robin Records; also a Washington, D.C. regional hit on Pilgrim 703); and in their 1956 national hit, "In the Still of the Night," The Five Satins enlivened the bridge with a plaintive "doo-wop, doo-wah." Eventually the term's application was extended to include rhythm and blues groups as far back as the 1940s. Radio, records, and cinema propagated the new style and inspired imitation in many U.S. cities and abroad. The Chords' 1954 hit, "Sh-Boom," is considered to have been the first rhythm-and-blues record to break into the top ten on the Billboard charts, reaching #9; a few months later, a white group from Canada, the Crew Cuts, released their cover of the song, which reached #1. Many other all-white doo-wop groups would appear and produce hits: The Mello-Kings in 1956 with "Tonight, Tonight," The Diamonds in 1957 with the chart-topping "Little Darlin'," The Skyliners in 1959 with "Since I Don't Have You" and in 1960 with "This I Swear," The Tokens in 1961 with "Tonight I Fell In Love" and "I Love My Baby." Particularly productive were doo-wop groups of young Italian-American men who, like their black counterparts, lived in rough neighborhoods (e.g. the Bronx and Brooklyn), learned their basic musical craft singing in church, and would gain experience in the new style by singing on street corners. By the late 1950s and early 60s, many Italian-American groups had national hits: Dion and the Belmonts scored with "I Wonder Why," "Teenager in Love," and "Where or When"; The Capris made their name in 1960 with "There's a Moon Out Tonight"; Randy & the Rainbows, who charted with their Top #10 1963 single "Denise"; and with the Beach Boys the only other American band who enjoyed success both before, during, and after the British invasion, The Four Seasons had a string of hits with "Sherry," "Big Girls Don't Cry," "Walk Like A Man," "Rag Doll," and many others. Other Italian-American doo-wop groups were The Earls, The Chimes, The Demensions, The Elegants, The Mystics, The Duprees, Vito & the Salutations, The Gaylords, Johnny Maestro & the Brooklyn Bridge, The Regents, Nino and the Ebb Tides, The Del-Satins, The Videls, and The Chaperones. Some doo-wop groups were racially mixed. Puerto Rican Herman Santiago, originally slated to be the lead singer of the Teenagers, wrote the lyrics and the music for a song to be called "Why Do Birds Sing So Gay? ", but whether because he was ill or because producer George Goldner thought that newcomer Frankie Lymon's voice would be better in the lead, Santiago's original version was not recorded, because to suit his tenor voice Lymon made a few alterations to the melody, and so the Teenagers recorded the song known as "Why Do Fools Fall in Love?". Margo Lopez Sylvia was lead singer for the Tune Weavers. Chico Torres was a member of the Crests, whose lead singer, Johhny Mastrangelo, would later gain fame under the name Johnny Maestro. Racially integrated groups with both black and white performers included The Del-Vikings, who hit big in 1957 with "Come Go With Me" and "Whispering Bells", The Crests, whose "16 Candles" appeared in 1958, and The Impalas, whose "Sorry (I Ran All the Way Home)" was a hit in 1959. Female doo-wop singers were unusual in the early days. Lillian Leach, lead singer of the Mellows from 1953 to 1958, helped pave the way for other women in doo-wop, soul and R&B. Doo-wop groups achieved 1951 R&B chart hits such as "Sixty Minute Man" by Billy Ward and His Dominoes, "Where Are You?" by The Mello-Moods, "The Glory of Love" by The Five Keys, "Shouldn't I Know" by The Cardinals, "I Will Wait" by the Four Buddies, and "Will You Be Mine", by The Swallows. In 1954, doo-wop groups played a significant role in ushering in the rock and roll era when two big rhythm and blues hits by vocal harmony groups, "Gee" by The Crows and "Sh-Boom" by The Chords, crossed over onto the pop music charts. Quickly, other R&B vocal groups entered the pop charts, particularly in 1955, which saw such cross-over doo-wop hits as "Sincerely" by The Moonglows, "Earth Angel" by The Penguins, and "Only You" by The Platters. The same year saw a number one pop chart hit, "The Great Pretender" by The Platters. In 1956, Frankie Lymon and The Teenagers appeared on the Frankie Laine show in New York, which was televised nationally, performing their hit "Why Do Fools Fall in Love?". Frankie Laine referred to it as "rock and roll"; Lymon's extreme youth appealed to a young and enthusiastic audience. His string of hits included: "I Promise to Remember", "The ABC's of Love" and "I'm Not a Juvenile Delinquent". In 1958, "Book of Love" by The Monotones became an icon of the style. At various times in the 1970s, 1980s, and 1990s, the genre has seen revivals. The peak of doo-wop might have been in the early 1960s with the most notable hits being Dion's "Runaround Sue", "The Wanderer", "Lovers Who Wander" and "Ruby Baby" and The Marcels' "Blue Moon". There was a revival of the nonsense-syllable form of doo-wop in the early 1960s, with popular records by The Marcels, The Rivingtons, and Vito & the Salutations. The genre reached the self-referential stage, with songs about the singers ("Mr. Bass Man" by Johnny Cymbal) and the songwriters ("Who Put the Bomp?" by Barry Mann), in 1961. As with most American popular music genres of the time, doo-wop's mainstream popularity was significantly reduced by the British Invasion of the mid-1960s. Other important groups, including The Coasters, The Drifters, The Midnighters, and The Platters, helped link the doo-wop style to the mainstream, and to the future sound of soul music. The style is heard in the music of The Miracles, particularly in their early hits such as "Got A Job" (an answer song to "Get a Job"), "Bad Girl", "Who's Loving You", "(You Can) Depend on Me", and "Ooo Baby Baby". The style is also heard in the early days of The Famous Flames, led by James Brown; the group recorded several doo-wop hits, including "Please, Please, Please", "Oh Baby Don't You Weep", "Bewildered", "I Don't Mind", and their hit cover of The "5" Royales' "Think all entering the Top 10, as well as R&B Number #1 Try Me. Doo-wop's influence continued in soul, pop, and rock groups of the 1960s. Doo-wop was a precursor to many of the African-American musical styles seen today. Evolved from pop, jazz and blues, doo-wop also influenced many of the major rock and roll groups that defined the later decades of the 20th century. Doo-wop laid the foundation for many musical innovations. Doo-wop's influence continued in soul, pop, and rock groups of the 1960s, including The Four Seasons, girl groups, and vocal surf music performers such as Jan and Dean and the Beach Boys. In the Beach Boys' case, the doo-wop influence is evident in early hits such as "Surfin'" and "Surfer Girl", and in albums recorded within their psychedelic era, during which the group experimented and innovated with the human voice as an instrument in a self-described effort to "expand modern vocal harmony". At various times in the 1970s, 1980s, and 1990s, the genre has seen revivals. Main artists are concentrated in urban areas (e.g., New York City, Chicago, Philadelphia, Newark, and Los Angeles). Revival television shows and boxed CD sets (e.g., DooWop Box 1–3) have kindled interest in the music, the artists, and their stories. In December 1968, Frank Zappa's band The Mothers of Invention released a doo-wop parody/tribute album called Cruising with Ruben & the Jets. An early notable revival of "pure" doo-wop occurred when Sha Na Na appeared at the Woodstock Festival. Over the years groups have remade doo-wop songs, with great success. Part of the regional beach music or shag music scene, centered in the Carolinas and surrounding states, includes both the original classic recordings, and numerous remakes. Britain chimed in with notable contributions, in the mid-late 1970s, by the group Darts, who successfully (and with some authenticity) revived revered doo-wop standards such as "Daddy Cool", "Come Back My Love" and "Zing! Went the Strings of My Heart". Other artists had doo-wop or doo-wop-influenced hits in later years, such as Robert John's 1972 version of "The Lion Sleeps Tonight", Toby Beau's 1978 hit "My Angel Baby", and Billy Joel's 1984 hit "The Longest Time". Soul and funk bands such as Zapp ("Doo Wa Ditty (Blow That Thing)") released New style Doo Wop. The last doo-wop record to reach the top ten on the U.S. pop charts was "It's Alright" by Huey Lewis and the News, a cover of The Impressions' 1963 Top 5 smash. It reached number 6 on the U.S. Billboard Adult contemporary chart in June 1993. D.R.S "Gangsta Lean" and After 7 "Nights like This", Coming of Age "Coming Home to Love" have some doo-wop elements as well. "Someone", a B-side from the Red Hot Chili Peppers' album By The Way (2002), is an example of 2000s doo-wop style. Much of the album contained a doo-wop flavor. Another song from the By The Way sessions to feature a doo-wop influence was a cover of "Teenager In Love", originally recorded by Dion and The Belmonts. Mr. Bungle also displayed doo-wop influences on their final album, California, particularly on the song "Vanity Fair". Doo-wop is popular among barbershoppers and collegiate a cappella groups due to its easy adaptation to an all-vocal form. Doo-wop, at the turn of the millennium, experienced a resurgence in popularity, with PBS's doo-wop concert programs: Doo Wop 50, Doo Wop 51, and Rock, Rhythm, and Doo Wop. These programs brought back, live on stage, some of the better known doo-wop groups of the past. In addition to The Earth Angels, doo-wop acts in vogue in the second decade of the 21st century range from The Four Quarters to Street Corner Renaissance. The ultimate longevity of doo-wop has been disputed. Bruno Mars and Meghan Trainor are two examples of current artists who incorporate doo-wop music into their records and live performances. Mars says he has "a special place in [his] heart for old-school music". The doo-wop scene of the 1950s strongly parallels that of the formation of the hip-hop scene beginning in the late 1970s, but particularly mirroring the emergence of the culture of the 1990s in that "it is (in its authentic form) a non-commercial street music pursued by the group, for the group (African Americans). In a broader context, it involves a male-competitive form of dancing (breaking), its own private slang and dress code, as well as other related emotive forms, such as graffiti art." ^ a b "Where'd we get the name doo-wop". electricearl.com. Retrieved August 18, 2007. ^ Hinckley, David (April 29, 2013). "Lillian Leach Boyd, singer for The Mellows, dead at 76". New York Daily News. Archived from the original on May 3, 2013. ^ a b Gilliland, John (1969). "Show 11 – Big Rock Candy Mountain: Early rock 'n' roll vocal groups & Frank Zappa" (audio). Pop Chronicles. University of North Texas Libraries. Track 5. ^ Holden, Stephen (1994-05-29). "POP VIEW; 'The Deep Forbidden Music': How Doo-Wop Casts Its Spell". The New York Times. ISSN 0362-4331. Retrieved 2017-09-26. ^ Gilliland, John (1969). "Show 25 – The Soul Reformation: Phase two, the Motown story. [Part 4]" (audio). Pop Chronicles. University of North Texas Libraries. ^ Toop, David (November 2011). "The SMiLE Sessions". The Wire (333). 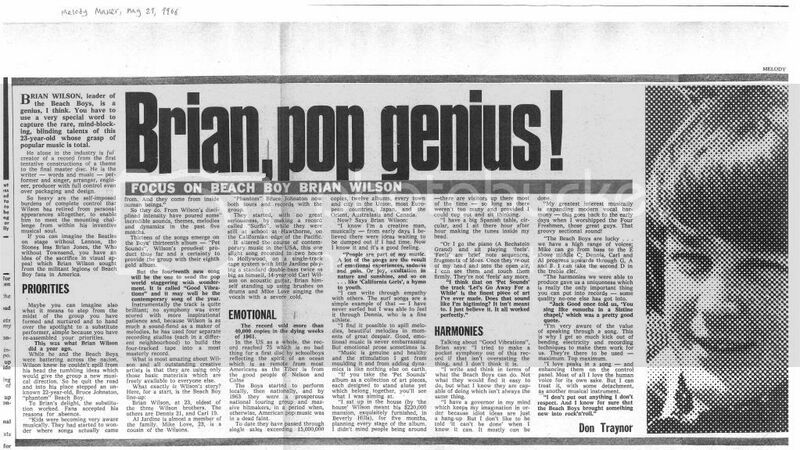 ^ "Brian Pop Genius!". Melody Maker. May 21, 1966. ^ Newman, Steve (January 13, 2010). "Four Quarters on a roll". YourOttawaRegion.com. Retrieved April 29, 2012. ^ McNeir, D. Kevin (April 26, 2012). "Street Corner Renaissance takes 'doo-wop' to new levels". The Miami Times. Archived from the original on January 28, 2013. Retrieved April 29, 2012. ^ Applebome, Peter (February 29, 2012). "A Doo-Wop Shop Prepares to Close, Signaling the End of a Fading Genre". The New York Times. Retrieved March 5, 2012. ^ Levinson, Paul (March 4, 2012). "Doo Wop Forever". Infinite Regress. Retrieved March 21, 2012. ^ Mikael Wood (2013-07-28). "Review: Bruno Mars brings Moonshine Jungle to Staples Center". Los Angeles Times. Retrieved June 4, 2014. ^ Blum,, Joseph (1986). "Review: The Rap Attack: African Jive to New York Hip Hop by David Toop". Ethnomusicology (30.2): 340–341. Appen, Ralf von / Frei-Hauenschild, Markus (2015). "AABA, Refrain, Chorus, Bridge, Prechorus — Song Forms and their Historical Development". In: Samples. Online Publikationen der Gesellschaft für Popularmusikforschung/German Society for Popular Music Studies e.V. Ed. by Ralf von Appen, André Doehring and Thomas Phleps. Vol. 13, p. 43-48, 61-63. Baptista, Todd R (1996). Group Harmony: Behind the Rhythm and Blues. New Bedford, Massachusetts: TRB Enterprises. ISBN 0-9631722-5-5. Baptista, Todd R (2000). Group Harmony: Echoes of the Rhythm and Blues Era. New Bedford, Massachusetts: TRB Enterprises. ISBN 0-9706852-0-3. Engel, Ed (1977). White and Still All Right. Scarsdale, New York: Crackerjack Press. Goosman, Stuart L (2005). Group Harmony: The Black Urban Roots of Rhythm and Blues. Philadelphia, Pennsylvania: University of Pennsylvania. ISBN 0-8122-3886-9. Gribin, Anthony J., and Matthew M. Shiff (1992). Doo-Wop: The Forgotten Third of Rock 'n. Roll. Iola, Wisconsin: Krause Publications. Gribin, Anthony J., and Matthew M. Shiff (2000). The Complete Book of Doo-Wop. Iola, Wisconsin: Krause Publications. Groia, Phil (1983). They All Sang on the Corner. West Hempstead, New York: Phillie Dee Enterprises. Keyes, Johnny (1987). Du-Wop. Chicago: Vesti Press. Lepri, Paul (1977). The New Haven Sound 1946–1976. New Haven, Connecticut: [self published]. McCutcheon, Lynn Ellis (1971). Rhythm and Blues. Arlington, Virginia. Pruter, Robert (1996). Doowop: the Chicago Scene. Urbana, Illinois: University of Illinois Press. ISBN 0-252-02208-4. Rosalsky, Mitch (2000). Encyclopedia of Rhythm & Blues and Doo Wop Vocal Groups. Lanham, Maryland: Scarecrow. Warner, Jay (1992). The Da Capo Book of American Singing Groups. New York: Da Capo Press. This page was last edited on 15 January 2019, at 05:33 (UTC).